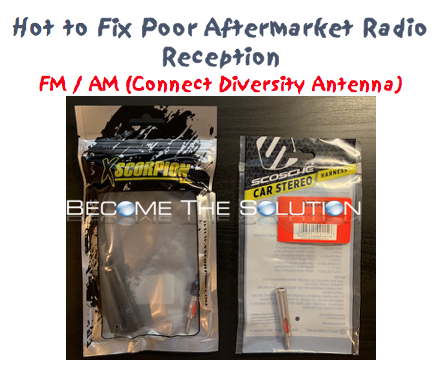 This guide show’s how to connect your car FM/AM diversity antenna (2nd antenna) if your aftermarket stereo only has one female antenna connection. This will dramatically improve your radio reception and make it sound OEM again. It is widely known that inline amplifiers on a car antenna do not fix poor reception and in some cases, make it worse. We advise to never add an inline amplifier to your car antenna if it did not have one before. Use all OEM antennas and amplifiers your vehicle came with to ensure correct and best AM/FM reception. 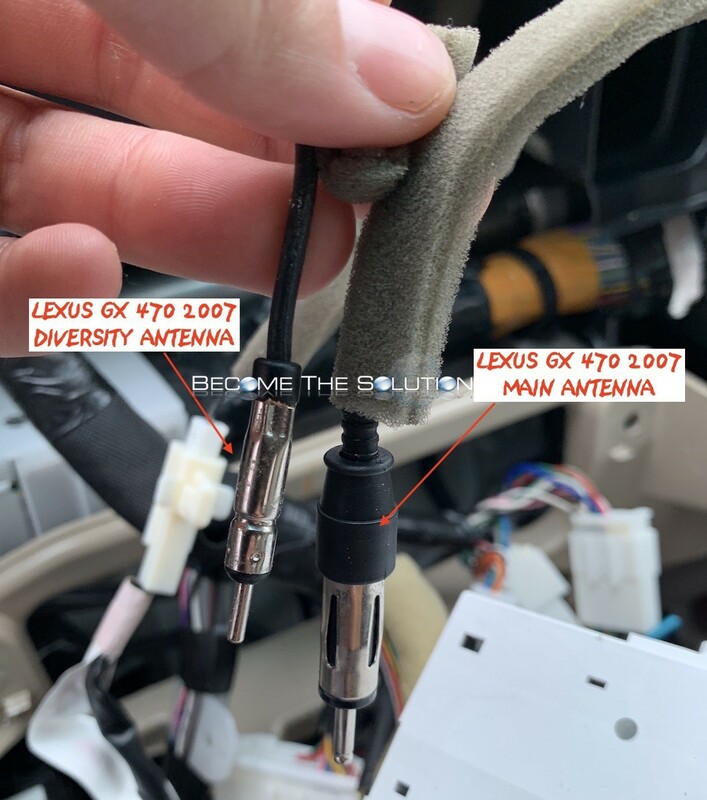 This guide demonstrates a Lexus GX 470 2007 w/ Mark Levinson Navigation with Main and Diversity AM/FM antennas. 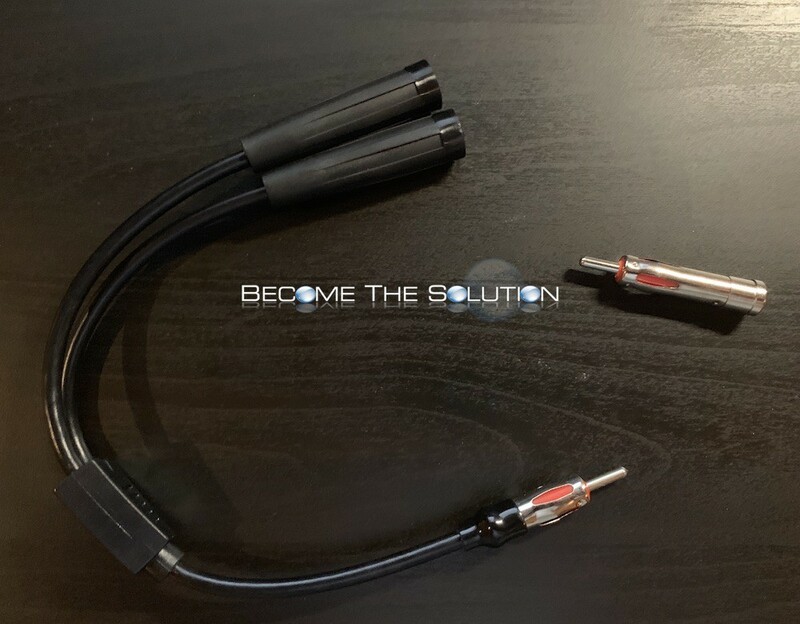 You must purchase a male to twin female Y splitter extension radio cable to accept your car dual antennas and if necessary a MDA-B Micro/Delco antenna adapter for your diversity antenna so it matches the same size tip. 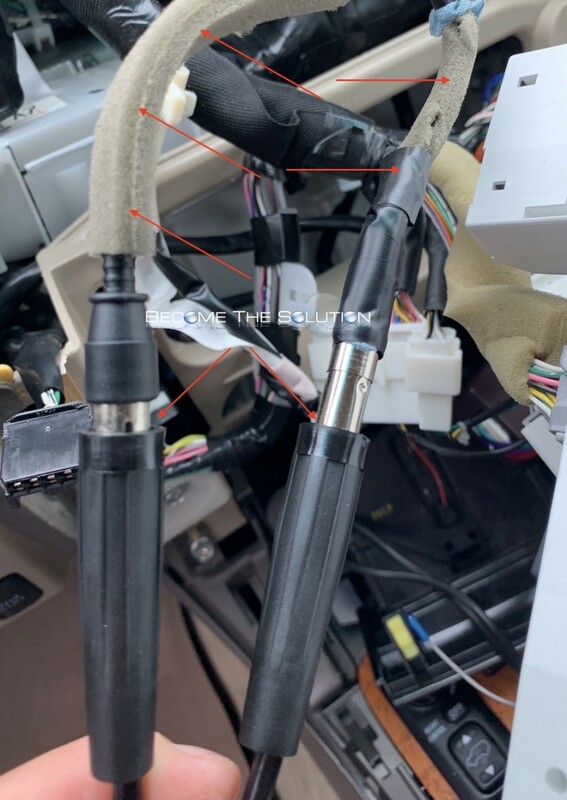 Below is a picture of the main and diversity AM/FM antennas in our Lexus GX 470. Notice the smaller tip head on the diversity antennas. In our case, we needed the antenna adapter for the diversity antenna tip so it’s the same size as our main antenna when we insert them into our splitter. The splitter only accepts the larger antenna heads. 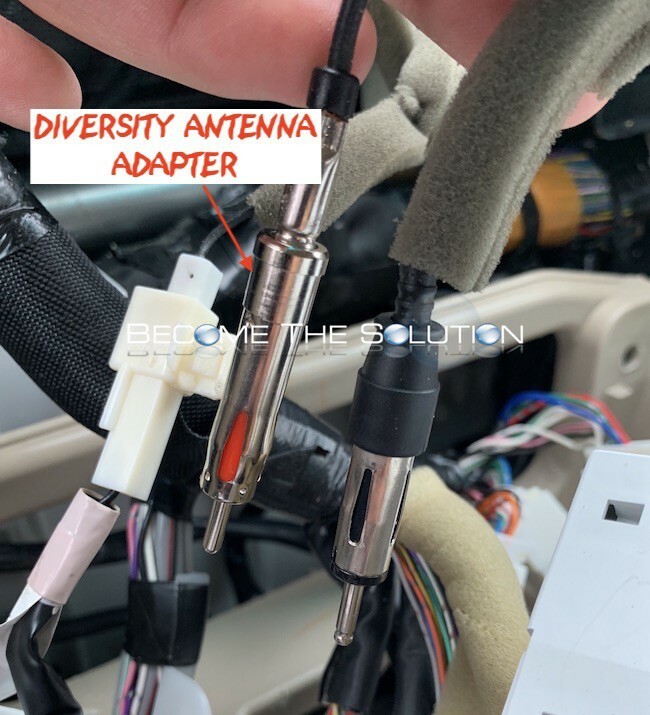 Diversity antenna with adapter installed and main antenna picture. Dual female splitter antenna connected. Ensure your antenna wires are properly shielded to reduce interference from your other car electronics. Finally, turn on your FM and AM radio and test. You should immediately notice clearer audio on FM with no static interference. AM reception should be greatly improved as well. We hope this helps people that decide to buy an aftermarket stereo in the future.